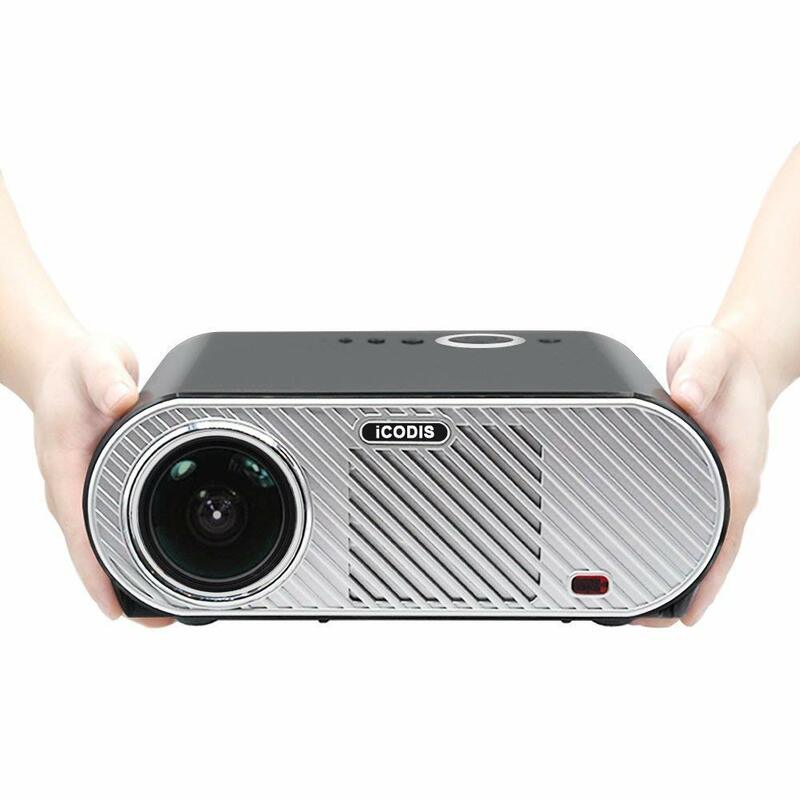 iCODIS G6 projector review is based on features, performance and what other users say of this. 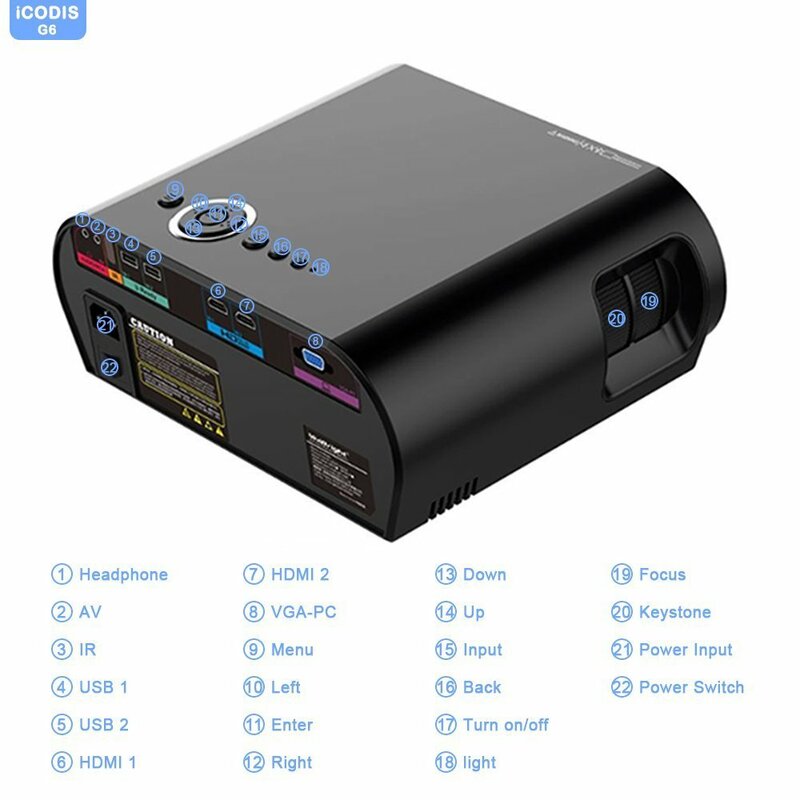 This top brand iCodis g6 projector comes with many inputs, it has dual HDMI ports to connect two HDMI devices and enjoy videos, movies, and play games on larger 120 inches screen. Other popular connection methods iCodis g6 supports are USB, AV and VGA to connect with many devices including PC, laptops, gaming consoles and Smartphones. 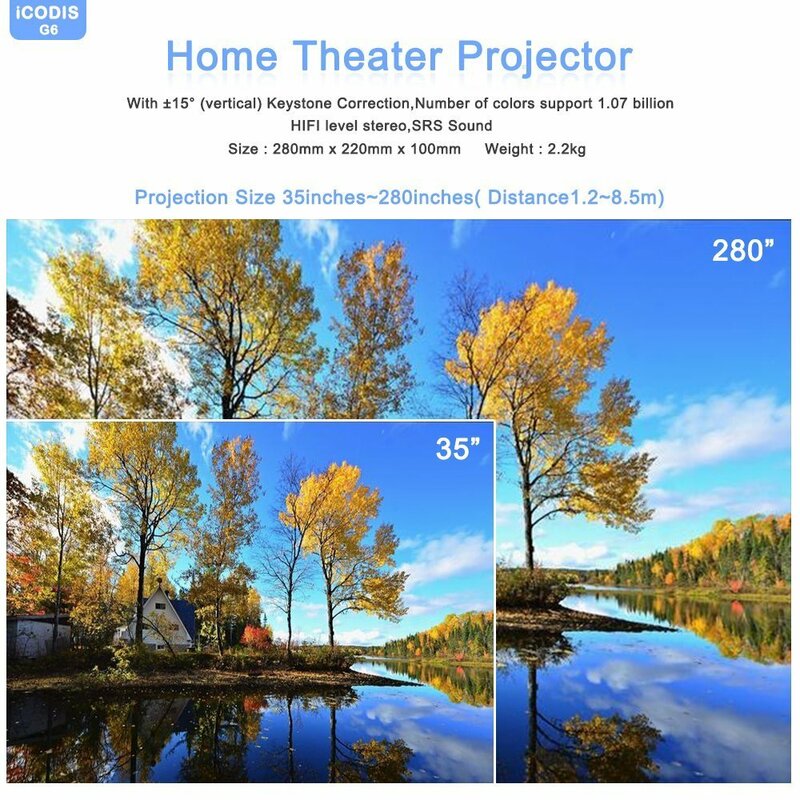 I read iCodis G6 projector reviews on many shopping portals and found that it has keystone function to play with picture size and orientation conveniently. Further, 3200 lumens is pretty good brightness for such a small and affordable projecting device. 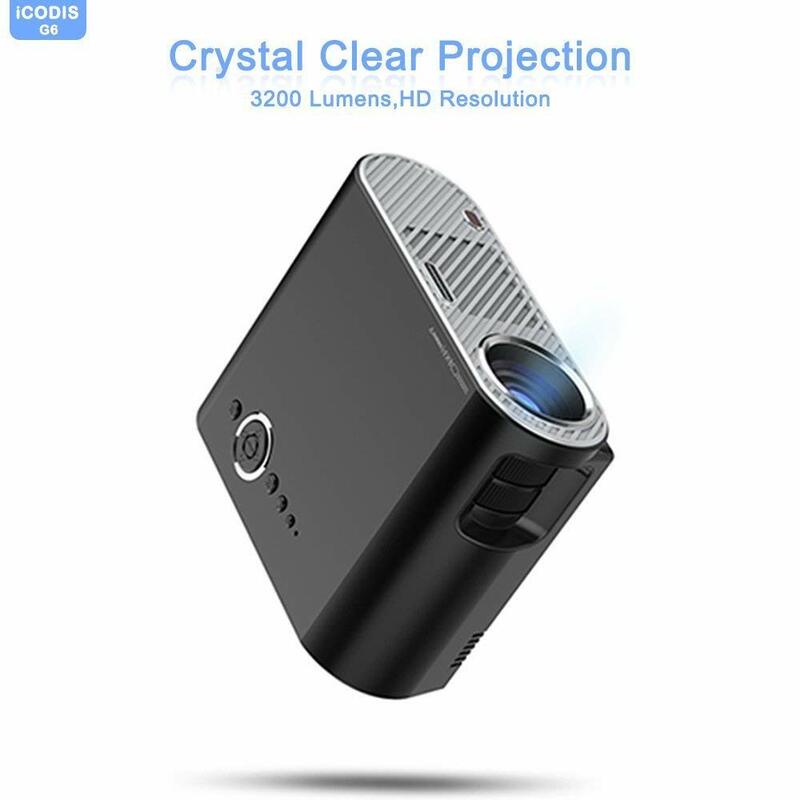 iCodis G6 LCD HD video projector features 1080p support to enjoy high quality, high definition content from various sources. 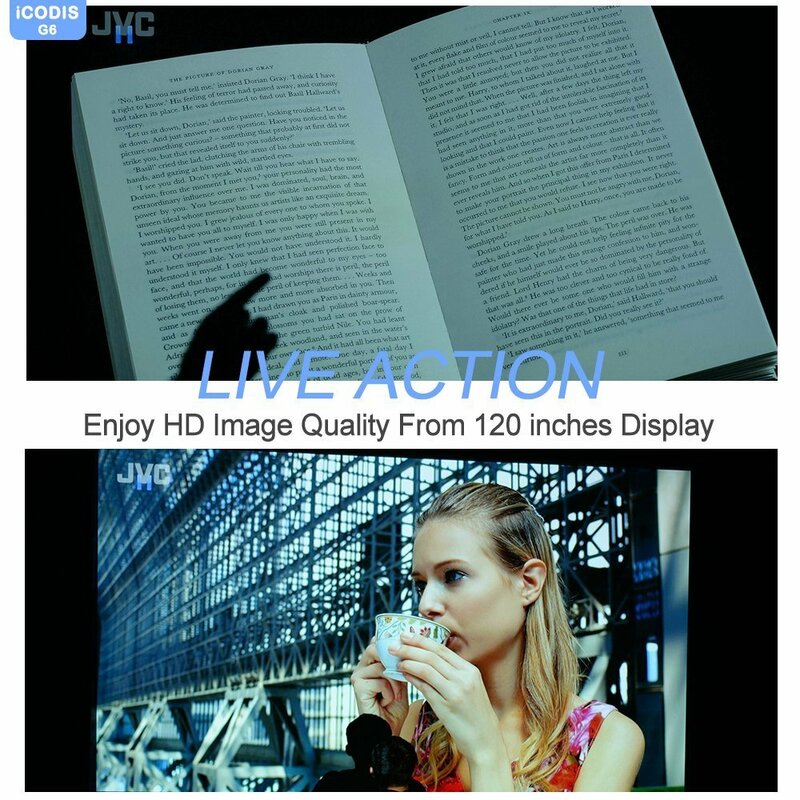 Further, iCodis G6 HD video projector uses latest LED light technology that saves approx. 20-percent more energy than other projectors in the same category and the same price range.